It’s 2018 and Stone Temple Pilots has a new album. And a new singer. Jeff Gutt was found in Michigan about 18 months ago by the three original members: Dean DeLeo, Robert DeLeo and Eric Kretz. After a few warm up gigs and getting integrated with their 3rd lead singer, STP created a new album, which came out on Friday, March 16th. Any one who has been a fan of STP over the years naturally will compare this new lead singer to Scott Weiland, who died in December 2015 of a drug overdose. And even bigger fans will put up the short stint Chester Bennington had in the band against Jeff. And if you are in that position of being a total Scott fan, you might never listen to this album. Change is never easy, but for a band like STP, you find a way to move on. Considering there have been other bands the 3 guys in STP have been a part of [like Army of Anyone or Talk Show], some have said why not just start a new band and retire STP. For this fan, I’m glad they didn’t. And Jeff’s vocals on these 12 new songs are a statement made about how important a band STP is and why it needed to continue. The previous bands were different musically. This continuation of STP is no different than say Journey, who’s been through a few lead singers since Steve Perry. Single releases like “Meadow” and “Roll Me Under” are great choices for radio and streaming plays. I really like “Thought She’d Be Mine” which is a ballad with acoustic guitar strums and great lyrics. Jeff does have a Scott like vocal range, but he is in his own on these new songs. “Never Enough” is another rocker where Jeff has that Scott vocal range but again his own. This is a good album. Not great, but parts of it are great. And the songs grow on you, at least they do to this long time STP fan. Robert, Dean and Eric are still great songwriters and musicians and carry these songs like they have with previous albums. I saw them live this last weekend (March 17th in Billings, MT) and will have a review up shortly. Anyone hear the news songs or listen to the new album? Speak in the comments. I had no idea they had a new album out, let alone even planned. I’ll have to check it out. 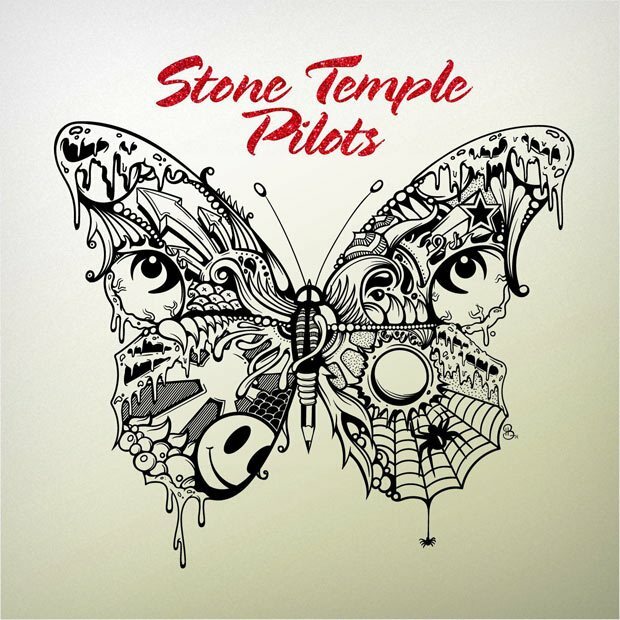 I’d be curious on your thoughts on the new STP album. I think it’s certainly easy to say “I don’t see how he could compare to…” and dismiss the album. But I’m willing to give it a listen. I’ve been a fan of STP over the years. Their first album came out at a part of my life that I’ll not forget so they always hold a special place for me. I am the same with the first and second albums. Ingrained in my music fandom for this band. I’d be interested to hear your thoughts on the new STP album.